The quick reference guide below is relevant for growing most of the many different types and varieties of beans. You will find more specific information for the growing conditions of a particular bean type on the page covering that bean type. 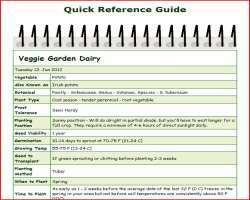 The growing beans quick reference guide below is designed as a quick overview of growing beans. For more details on the different stages from seed to harvest go to the related pages link. Time to Plant Wait until at least 1-2 weeks after the last average 32 F (0 C) freeze in your area but not before soil temperature are consistently 60 F(16 C) or above. Seed Sowing Direct sowing bean seeds - For all types, 1 -2 inch (25 - 50 mm) deep. Bush beans - 2 inches (50mm) apart in rows 18-24 inches (45-60 cm) apart or double rows 4-6 inches(10-15 cm) apart. Pole beans - 4 inches (10 cm) apart in rows 30-36 inches (75-90 cm) apart. Plant Spacing Bush beans thin to strongest, 4 inches (10 cm) apart. Pole beans thin to strongest, 6-8 inches (15 - 20 cm) apart. Fertilizer Low fertilizer needs, 2-3 quarts per 100 sq feet (2.2-3.3 liters per 9.3 square meters) pre planting of All-Purpose 5-5-5 Organic Fertilizer , same rate for each side dressing.